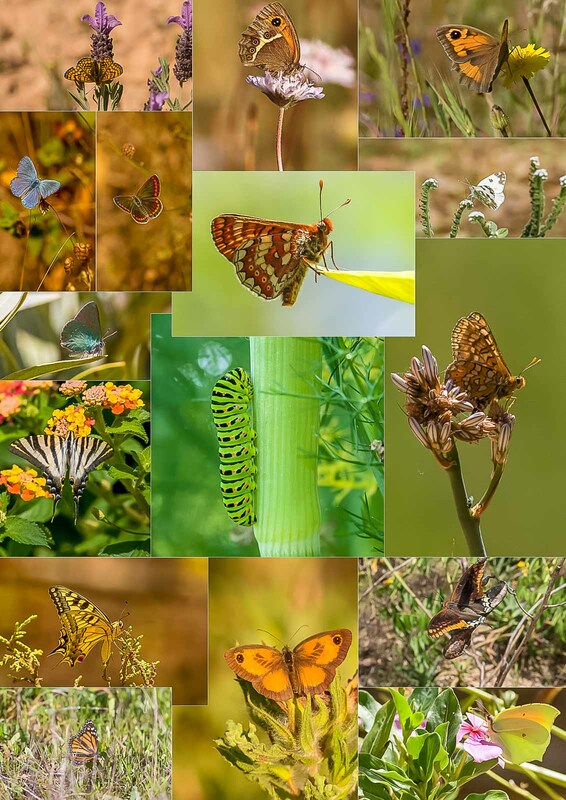 Over the years we've taken a fair few photos too, mostly of the Flora, Butterflies and Dragonflies, so here're a few collages of the most common species you're likely to see with us. Firstly the Flora, which is at its most stunning in March, April, May and June. 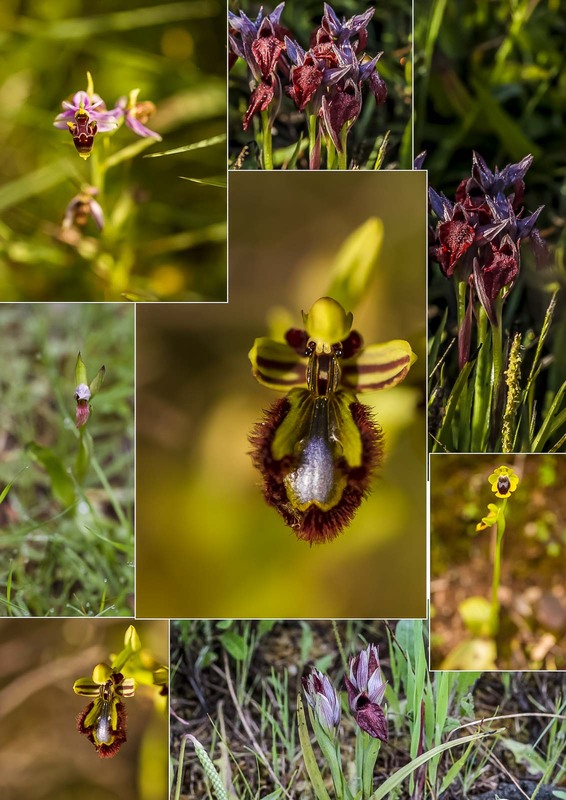 There are a few Orchid species we have in the area and, seeing as they're a special "flower" they get their own collage. 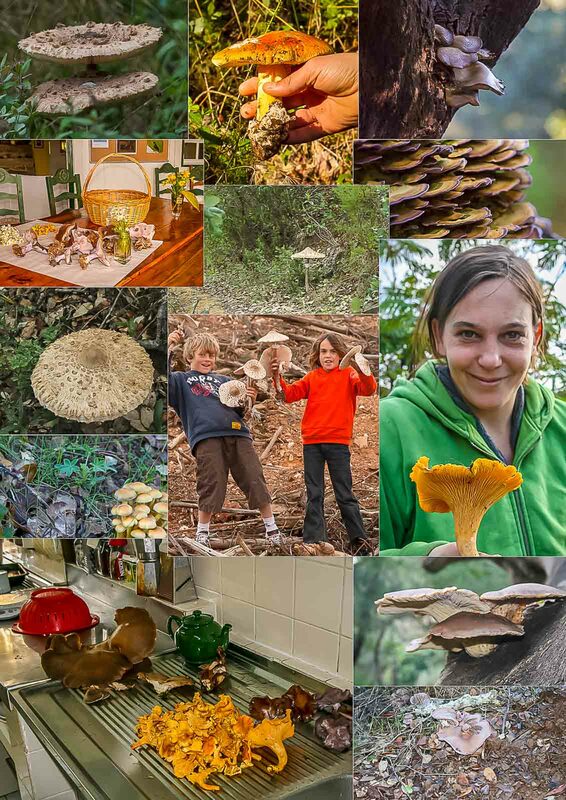 While we're talking stationary objects, the Autumn and Winter months are wonderful for all kinds of Funghi. 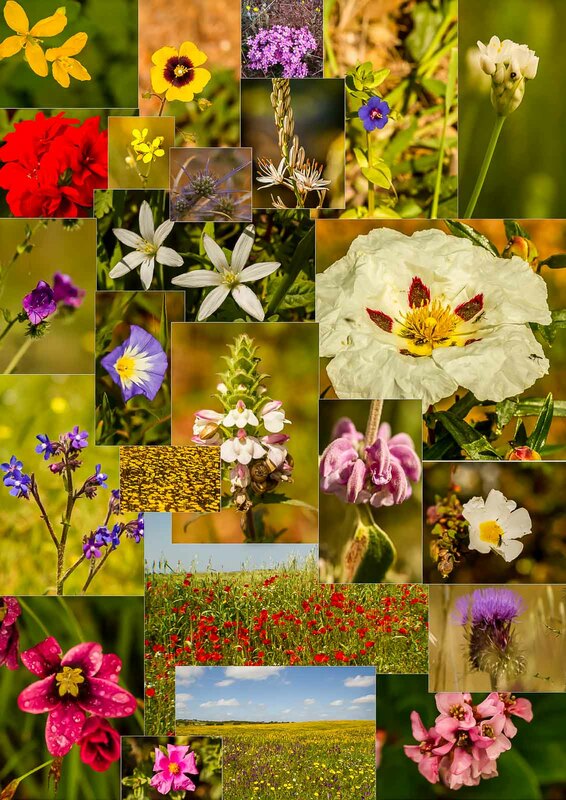 Portugal is very rich in Butterflies too and these are present for a far greater period throughout the year. 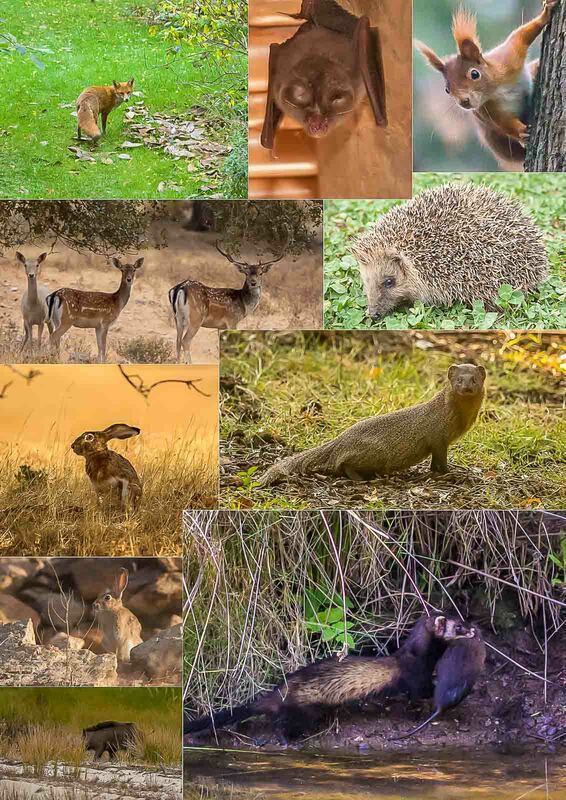 This is a small collection of the species we see most often. There are of course many Moths too and we regularly leave Moth Traps out overnight. 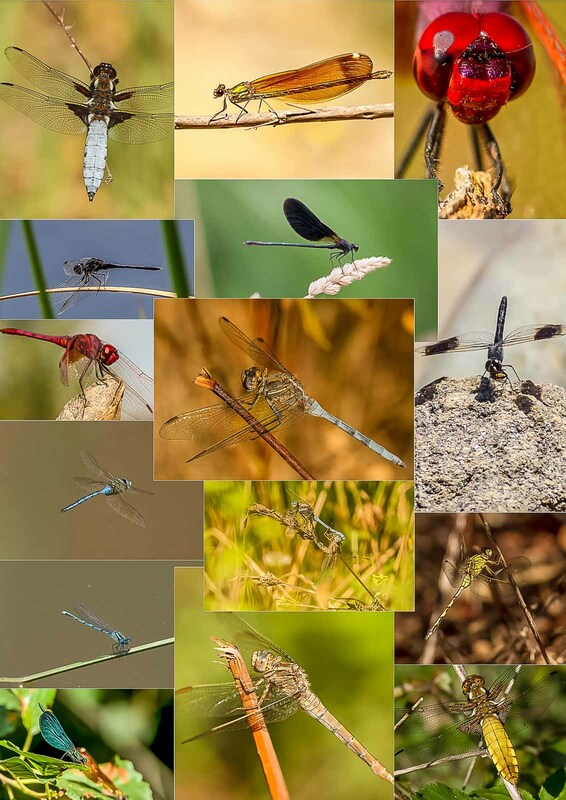 Below are a few Damselflies in with the Dragonflies. Terrestrial Mammals are for the most part nocturnal here, so we're lucky to have pictures of even these few, but we quite often see Genets, Beech Martens and Wild Boar at night. 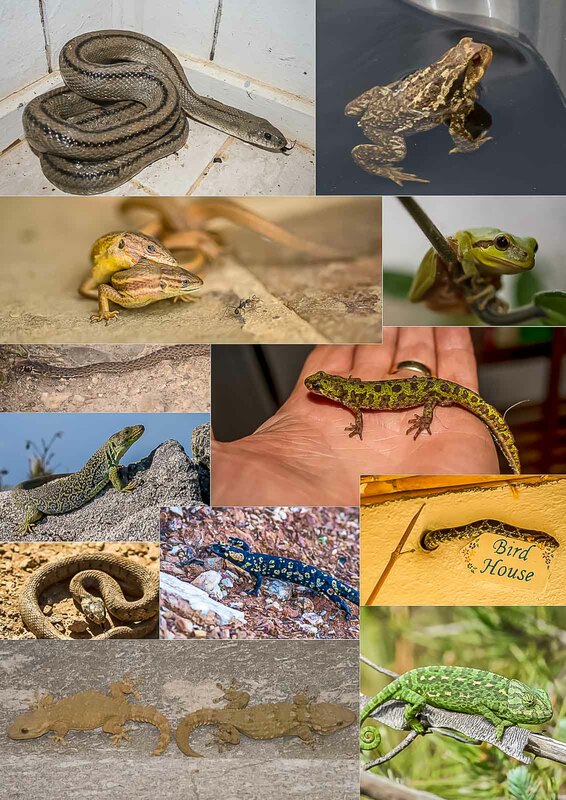 Portugal is justly known for its great weather, but during the cooler months it can be quite damp and Reptiles and Amphibians are surprisingly common. 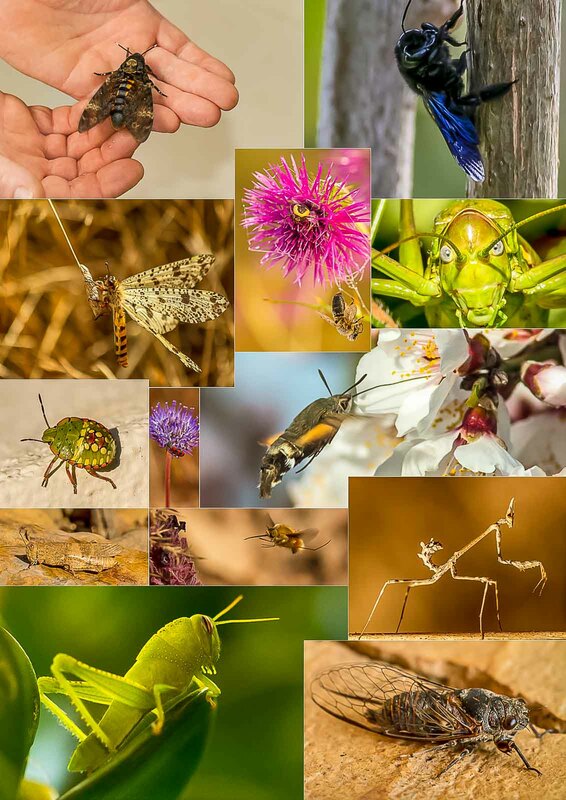 The low use of pesticides promotes a healthy population of Insects, which is just as well as a healthy population of the below is the basis of a healthy Food-chain!